It does what I want it to do! 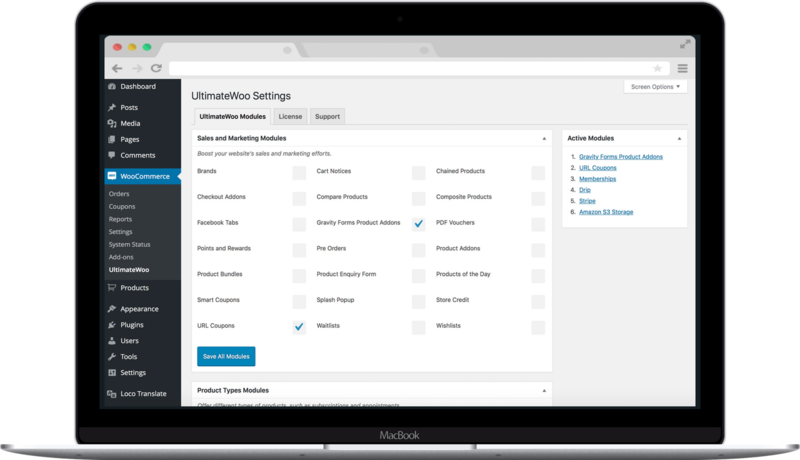 UltimateWoo has enabled us to run something more than just a basic store for each of our customers without increasing our bottom line. It's the way to go for enhancing WooCommerce. I love Ultimatewoo and the support is also very good, normally I get an answer within 48 hours. Thank you for such a helpful product. Having the ability to enable features from one screen is terrific. Also love the new admin design... keep up the good work.